Due to its box shape and striking steel frame, it is not a surprise that the Television Mirror by Design Letters reminds us of the look of old televisions. The delicate leather strap for mounting the mirror on the wall reminds us of ancient TV antennas and continues the television themes harmoniously. The Design Letters Television Mirror balances a special portion of retro charm with its rectangular shape and the coloured frame. Used either individually or as a tile composition, several mirrors can be hung up in a combination to create an extraordinary mirrored surface. Either for extending small rooms optically or the last check in the mirror before leaving the house, the Design Letters Mirror is a practical wall decoration that creates an exceptional atmosphere. Single image of the Television Mirror in grey by Design Letters. 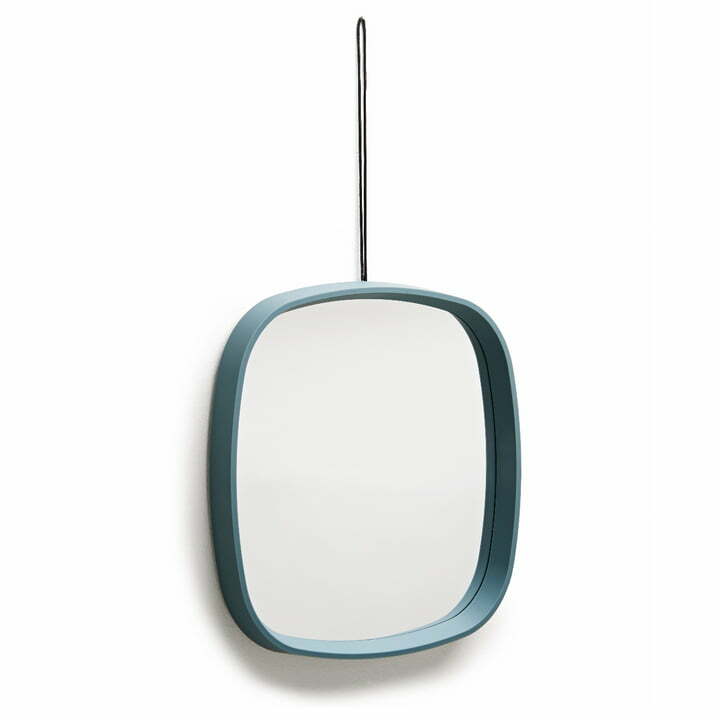 The shapely mirror is made of ABS and glass and is part of the Design Letters & Friends collection. Suitable for portrait and landscape mounting. Group image of the Television Mirrors in grey and turquoise by Design Letters. 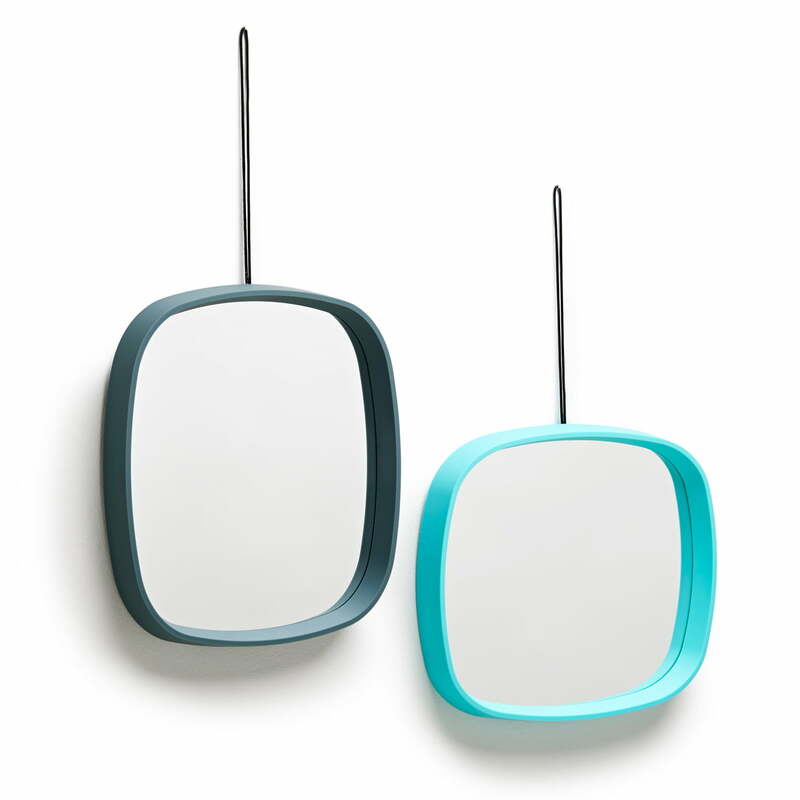 The shapely mirrors are made of ABS and glass and are part of the Design Letters & Friends collection. 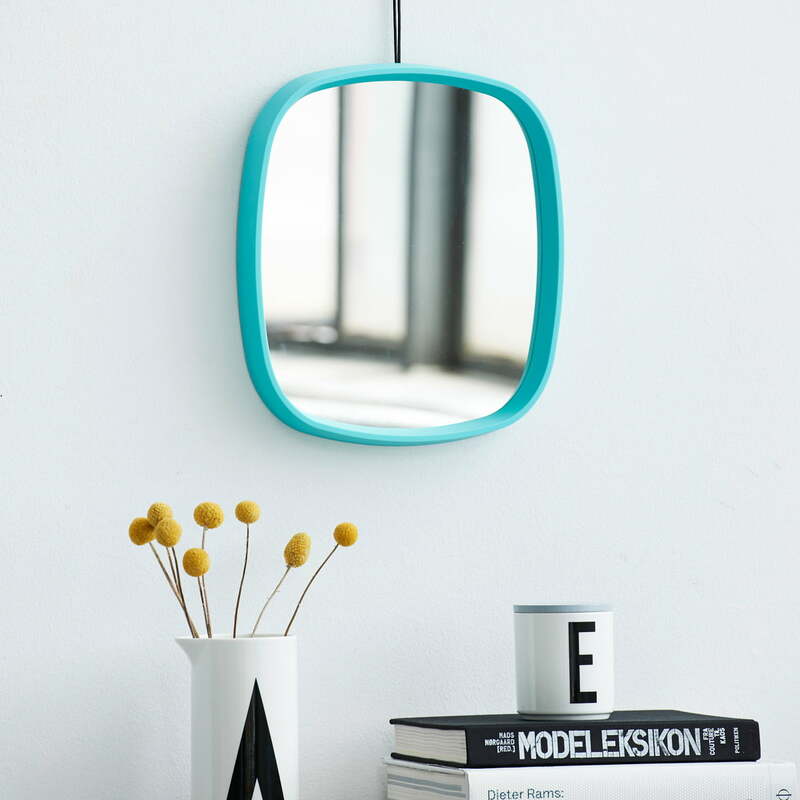 The Television Mirror in turquoise of the Design Letters & Friends collection enriches any living room or bedroom ambience and acts as a colourful eye-catcher. Combined with the AJ Porcelain Cup with Lid, any domestic area is presented in style. 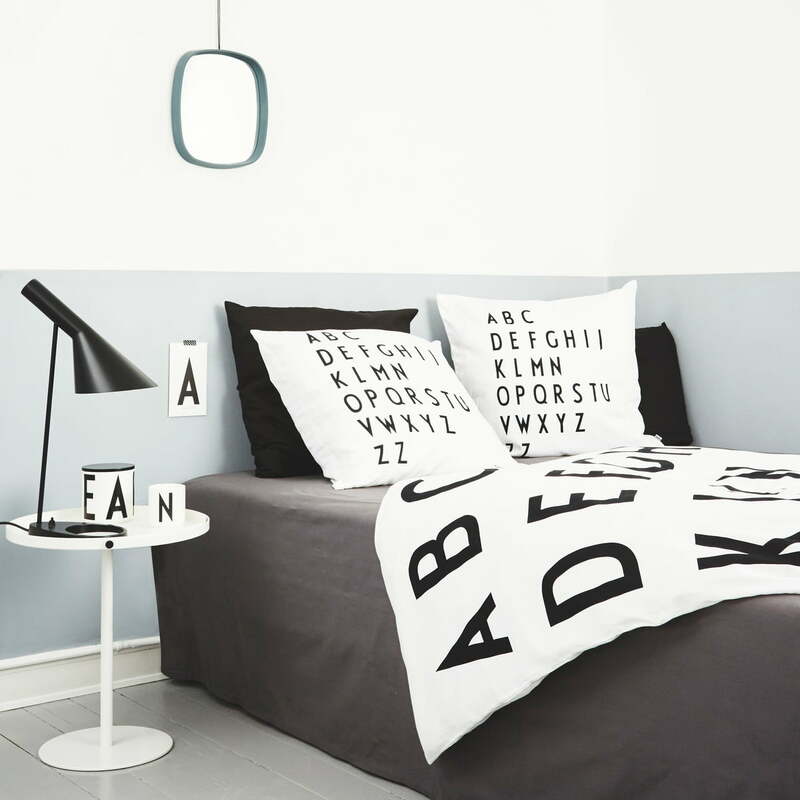 Simple but chic: The pretty ABC bed linen by Design Letters features a discreet design that lends a stylish atmosphere to the bedroom. The bed linen is made of ecological cotton and is part of the Arne Jacobsen Vintage ABC collection. Arne Jacobsen is considered one of the world's leading architects and designers of the 20th century.